The price of software will always be a major consideration in your buying decision. It’s no different with a learning management system (LMS). And you have an immense range of LMS pricing options when it comes to this software niche: from free on one end to thousands of dollars on the other end. If you are a small business with limited budget, you’d naturally search for solutions in the lower rungs of the pricing scale. You might even settle initially with free LMS software just to kick off training your employees and put in place a learning program for your organization. But you’d soon notice how limiting these zero-cost solutions are and would have been better off with paid but affordable LMS software providers. Good thing there are lots of them. We’ll explore some of the low-cost, high-value products with this top 20 most affordable LMS software. How Do You Get Your Money’s Worth with Affordable LMS Software? Look for the LMS’ selling points such as notable benefits, the solutions it provide to address your organization’s learning challenges, and its ability to focus on your target learners, among others. Although the aforementioned are more on the side of vendors, it also helps you the buyer/user to understand the seller’s perspective and how they uniquely position and offer their products to influence your purchasing decision. If you get all the above and more at a budget-friendly price that adequately meets your company’s learning needs, then you have a cost-effective solution. We have examples of such solutions with this top 20 most affordable LMS software. In 2018, U.S. organizations spent an average of $87.6 billion for training and development. Despite the relatively high training cost, companies invest in an LMS solution knowing that it can effectively bring about a well educated and highly engaged workforce. This results in efficiency, productivity, and profitability for an organization. The thing to remember is that you are able to maximize the LMS software to its full potential and capabilities to give you your money’s worth. The notion that the most expensive software is the most capable and feature-rich doesn’t hold true today with the availability of powerful but economical cloud LMS platforms. 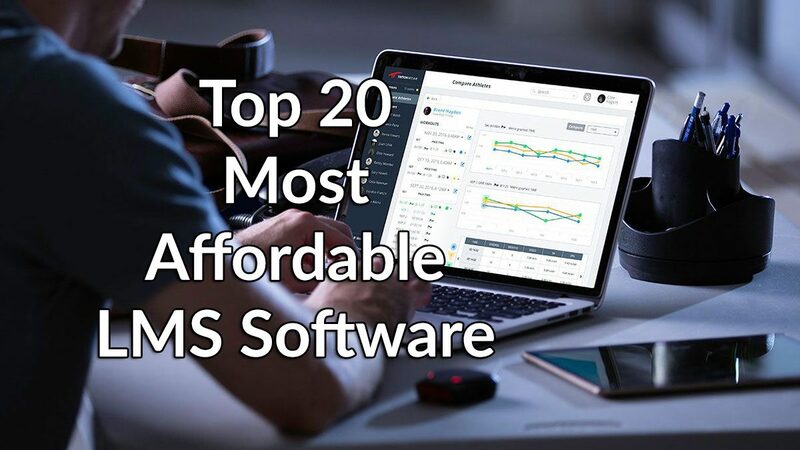 You can get robust capabilities as well as desired returns even with low-priced LMS solutions like the top 20 affordable LMS software we’ve listed here. What are the top 20 most affordable LMS software? Note that these are not ranked by cheapest to most expensive but by the value they provide – features, functionalities, and capabilities – at their given price. Some offer custom/quote-based pricing depending on features you avail specific to your company’s learning requirements and number of learners. TalentLMS is a highly-ranked and multi-awarded cloud LMS platform ideal for the leaning requirements of companies for their employees, partners and customers. It can scale for the needs of businesses of any size and any number of learners from one to more than 1,000. The LMS offers a comprehensive set of features including video-conferencing, course selling, notifications, gamification, branches, and extensible user profiles. It supports a wide range of content types including SCORM and Tin Can, making it easy to integrate existing training materials in any format. It has native apps for Android and iOS that enable on-the-learning on-the-go, and makes available an array of custom options to suit your branding and workflow requirements. Four plans are available: Free, Small, Basic, Plus, Premium, Enterprise. You can easily sign up for TalentLMS free trial here. Docebo is a cloud e-Learning platform often regarded as the most comprehensive solution for education and training management. It offers an ecosystem of features and modules that can be adapted to any learning needs of an organization. The feature-rich and highly secure online-only solution supports all forms of learning including blended, social and mobile learning initiatives. The system is easy to use and can manage, deliver and track e-learning activities. You can give its features a closer look at no cost when you sign up for a Docebo free trial here. Docebo lets you easily upload and share your training materials like PPT, PDF, SCORM, Tin Can and video files. It supports anytime, anywhere learning with its mobile capability. It allows you to efficiently monitor the training performance of your workforce with its course tracking features and default or custom reports. Three quote-based plans are offered. Litmos LMS is one of the foremost corporate learning systems available today and is distinguished for its simplicity, ease of use, and affordable plans. It is a long-time Salesforce partner for sales and service training and secure data exchange, and is able to automate both internal and external learning programs. The system allows you to create interactive courses directly on the dashboard or by importing third-party content, as well as implement gamification features such as leaderboards, badges, and points. If you want to try this software before committing to a plan you can easily do so at no cost. You can sign up for a Litmos LMS free trial here. Despite being a “one-size-fits-all” LMS solution, Litmos offers wide customization where you can tailor learning paths end-to-end, employees’ curricula in line with course sequence, and report on any course, module, or task. You can easily categorize learners, organize courses/training programs, and assign them to teams or selected individuals, making it ideal both SMBs and large corporations. Two monthly subscription plans are available. iSpring Learn LMS is a robust learning software with a sleek, simple, and engaging user interface. Its tools and features allow its users to come up with modern, intuitive, responsive and dynamic eLearning content. It can instantly upload and deliver eLearning content accessible to Android and iOS devices. It’s ideal for small and medium businesses that target the improvement of their productivity rate through seamless online training and onboarding that require no additional manpower cost. Users will encounter no compatibility issues with iSpring Learn LMS because it allows for the upload of almost all kinds of file types. It is SCORM-friendly and can easily read DOC, XLS, MP3, MP4, HTML5, PPT, PDF, SWF, WAV, and FLV files. Moreover, unlimited storage is provided to its users. Apart from its learning tools and features, it also equips its users with video conferencing, quizzes, and automated analytics. In addition, a calendar tool is provided with push notification functions. Its pricing is based on the number of users and its tools and service are available for as low as $3.66 per user/month. eFront is a flexible LMS platform for enterprises that require advanced security features and extensive customization to train large numbers of employees, partners and customers. It provides modern ways to distribute and evaluate knowledge, giving you complete control over your virtual training environment and your data. It blends seamlessly with any existing infrastructure and is able to scale as your organization and learners grow, keeping your workforce skilled, customers smart, and your partners qualified. You can check its full features at no cost when you sign up for an eFront demo here. eFront is equipped with gamification features to identify and reward fast and hard-working learners, making the learning environment more competitive. It also comes with communication modules to streamline relationship between instructors and learners. eFront is one of the best-integrated learning management systems on the market, with pre-built connections to calendars, CMS, ecommerce, and video-conferencing tools. Four plans are offered for business and enterprises. starting at $750/month for up to 1,000 users. Coassemble is a comprehensive learning management system that aims to simplify knowledge sharing within teams. Previously known as eCoach, this platform is equipped with an easily navigable authoring tool, advanced workspaces, and reporting tools. What’s more is that it packs all of these powerful functionalities in an uncluttered and intuitive interface that takes little to no time to learn. It allows you to structure your LMS in the same manner as you structure your company, separate your organization into several branded LMS campuses or keep each campus separate and provide it with its own branding. This enables large enterprises to delineate different geographical locations or their brands. You can also sort campuses by business units, and delegate permission levels to trainers so they can keep their training orderly and structured. The vendor also has an appealing free trial that will allow you to test out this platform’s functionalities at no cost. Simply sign up for a Coassemble free trial here. Pro – $499/month, billed annually. Up to 250 active users. Includes core LMS features. Pro + US – $699/month, billed annually. Up to 250 active users. Includes core LMS features and access to online training specialists. Utilize the drag-and-drop authoring templates to create an unlimited amount of engaging training content. Outstanding customer support which it delivers via phone, live chat, onboarding and training sessions, dedicated accounting managers, and a vast database of help videos, articles, and regular webinars. Integration with over 1000 third-party applications like Gmail, Salesforce, Shopify, and more. Coassemble is fully SCORM/LTI compliant, allowing you to bring in your existing e-learning resources or export the content you’ve created to third-party solutions. Coassemble offers deep reporting with both granular and visual reporting that can be exported to third-party programs or downloaded as PDF or Excel files. Workize LMS is a fully automated course and policy compliance LMS built to help training administrators and HR managers ensure compliance for their employees. It supports your training requirements by automatically enrolling employees and emailing them reminders to make sure they fully conform to training and policies required by their jobs, and minimize risk and governance issues for your organization. It can scale to meet the needs of organizations from 100 employees to more than 100,000 and keep training compliance manageable. You can easily sign up for a WorkWize free trial here. Workwize comes with features to identify non-compliant teams, individuals or offices; document sign-off/distribution for proving acceptance and understanding; rapid course authoring for creating unlimited SCORM e-learning courses; and over 40 editable courses covering core compliance subjects, among others. Two plans are offered with prices going up depending on the plan and number of users. Canvas LMS is well-known online learning application intended for K-12 and higher education. It delivers a customizable architecture to facilitate personalized education as well as foster better communication between teacher and learner, making it easy for both of them to work on the learning process. Students can receive notifications, submit paperwork, interact with learning materials on any device, and connect their Canvas LMS account with social media. Teachers can provide feedback; merge videos, blogs, wikis, and other channels of education, while monitoring their students’ progress. Teachers and students can access the app on their mobile devices to engage with each other anytime, anywhere. Instructors can grade students quickly and accurately through tools such as the SpeedGrader and the ability to record audio/video during grading. It provides a dependable solution that reduces support calls and queries from students while making it easy for teachers to create and deliver courses and curriculum. ProProfs is a cloud-hosted LMS that allows you to create training and courses with authoring tools, certify and grade learners, and earn by selling instructional courses and content online. Used by more than 10 million people all over the world, ProProfs brings with it several smart educational products such as Quizzes, Survey, Polls, Brain Games, Flashcards, Knowledge Base, Live Chat, Project and Training tools. There is also a store where you can shop for test, exams and courses if you are aspiring to be an online instructor. ProProfs an ideal system for companies searching for a solution to boost employee training, academic institutions looking to produce and disseminate online courses and tests, and individuals aiming to monetize content by selling their e-learning materials crafted for specific educational needs. The platform empowers users with a valuable platform to apply knowledge, helping them increase productivity, efficiency and profitability.  ProProfs products are priced individually. iCIMS Talent Acquisition is an onboarding app that comes with a rich set of features, including a customizable career portal that enables candidates to look for career opportunities. It provides businesses and organizations the tools they need to accelerate and simplify talent acquisition process without compromising the quality and qualifications of the candidates. It helps businesses make quality hires, improve hiring processes, engage the right candidates, and follow key metrics all within one platform. The iCIMS Talent Acquisition suite includes features such as social media distribution, career site search engine optimization (SEO) and job board posting. It helps help HR professionals and recruiters reach and attract more qualified candidates not only from the most popular social media sites, but also to more than 300 other social media outlets, including niche and specialty sites. Bridge LMS is a corporate LMS aimed at helping businesses improve employee training and create out-of-the box courses that accelerate progression and help employees develop industry-specific skills. The cloud-based LMS is easily accessible on mobile devices and lets you store all relevant data in a centralized index from where employees can follow their training records on the go. Managers can make use of accurate feedback to familiarize themselves with specific employees’ needs, detect threats, trends, and opportunities, as well as follow the progress of their company’s learning program. Bridge LMS comes with a reporting suite where you can generate and customize course and survey reports, or measure employee performance using an advanced set of progress indicators. It also offers a gamification package of quizlets and certificates to motivate employees to participate more actively, and to contribute to your company’s long term goals. It is fully SCORM compliant, which means that it follows industry-imposed and universally accepted technical rules for creating and sharing content. eloomi is a web-based LMS that offers organizations a simple and user-friendly platform to deliver learning programs and initiatives to their employees. It allows learners to effortlessly access materials, content, news, and instructions to ensure continuous learning and improvement. The app is optimized for desktops, laptops, and mobile devices, and is designed for building and distributing learning instructions, training programs, modules, guidelines and more for onboarding, skill development, compliance training, and other learning purposes. Users are able to gather and analyze information for insights into their strategies as well as employee performance and progress. You can also choose the latest content from eloomi’s Course Market or order custom-built content from eloomi’s content group. This is ideal especially if you need to deliver high-quality content or wish to create your own courseware from the ground up. Skillsoft is a learning management system that offers an array of eLearning, online training and talent solutions on a corporate scale. The platform provides effective learning tools meant to transform employees into high-value and top performing assets. Among its tools and solutions are business skills, training, digital skills training, IT skills and certification training, and compliance training, among others. Being 100% cloud-based, users can access the system and its content from anywhere all the time. Skillsoft offers thousands of courses, videos, books, professional mentoring, and certification-aligned content to ensure your employees have access to multiple resources that help further their continuous learning and development. From multi-dimensional micro-learning to rich certification training, provides the essential so your employees are equipped with the skills they need to perform their tasks. Edmodo is a social learning platform for students, teachers, districts, and schools. It has become one of the leading K-12 social learning networks in the world, bridging all students with the materials and experts they need to reach their full potential. It offers a familiar learning environment for students and teachers such as classroom discussions in the online world. It provides polls to measure student understanding, and badges/awards to students based on behavior or output. With the software, you can build your collaborative network and connect all teachers, parents, students, and administrators in your school or district through a secure Edmodo web address. It supports interaction in schools, classrooms, and across your district to improve professional learning networks. Only two plans are offered – a free one for any student, teacher, parent, or school admin; and a paid one for schools. 360Learning is a learning engagement and training platform that lets you set up digital learning programs easily and create online courses in just a few clicks. The cloud platform uses social interaction, gamification, and mobile features to get learners engaged and involved in online courses. For trainers, they get a marketing and management solution that offers course optimizations, A/B testing, and real-time tracking. For learners, they have access to online courses on a day-to-day basis, helping them become more engaged in their learning with gamification tools. The platform puts human interaction at the center of the training strategy by allowing effective collaboration and interaction during the courses. All features are mobile friendly to allow learners access to important materials right from their mobile devices. The software is offered in three categories – by user, by training program, and via paid MOOC using the 360Learning marketplace. TalentCards is a mobile LMS application that offers a micro-learning method where information is delivered in small pieces to make it easy to understand. The mobile training solution lets you create learning cards on the web and deliver them while on the go. With TalentCards, learners get easy-to-digest learning resources, take tests to examine the knowledge gained, use gamification elements to review their performance, and train themselves anywhere, anytime. Eurekos LMS is a comprehensive and intelligent learning management system that focuses on content building. Businesses and organizations get to create high-quality content for learning and development as well as repurpose old content with speed and ease. It comes is equipped with an advanced content builder that simplifies the production of premium content, letting you come up with topnotch content quickly and easily. A fully integrated toolbox provides you with all the tools you need to create powerful and interactive courses such as videos, testing tools, gamification, and more. Its Content Co-Creation functionality allows you to collaborate with other people to create content that is engaging, fun, and interactive and built on the expertise and experience of others. This helps you create customized learning paths based on the learner’s role, expertise level, interests, and other factors. Easygenerator is an all-in-one, cloud-hosted e-learning and course authoring tool that enables you to effectively create, design, and publish courses for education and training. The software provides a WYSIWYG interface that lets you easily create content without coding making it usable for both beginners and seasoned authors. Easygenerator has the right tools to help you create engaging courses, making it an ideal solution for SMB’s, corporations, startups, scale-ups, educational institutions, government, and non-profit organizations. Some of its key features include customized courses & quizzes, publish courses, video/audio/images, authoring, different question types, branding, support, and security. Easygenerator is rooted on a strong instructive framework that lets you align content with learning objectives. It also allows you to measure the impact of your elearning course as well as learners progress via structured assessments. Four paid plans are offered. Supports the use of questions in courses including drag & drop, multiple choice, fill in the blanks, multiple select, single choice, single choice image, etc. CreateLMS is a smart and simple cloud-based LMS designed to help companies and organizations provide high quality learning for their employees, partners, and clients. It allows you to effortlessly plan and administer learning sessions for your learners regardless if you’re using existent content or building new materials from the ground up. The software can be tailored to suit various training requirements, is suitable for all business types and sizes, and can scale to any number of learners. CreateLMS is equipped with a course builder that simplifies and expedites the creation of training content and is useful for eLearning, blended learning, and ILT. It makes it easy for you to build SCORM materials, audio, video, slides, quiz, surveys, and assignments. Both trainers and learners have access to a centralized dashboard where they can track learning progress, take training session, or check their calendars for milestones, schedules, exams, and more. Skillshare is an online learning community designed for both students and teachers of real-world skills. These skills are discovered and learned through the aid of project-based classes and Skillshare offers a platform where teachers and students get the opportunity to access content, presentations, and courses related to wide variety of topics. These topics include design, business, marketing, technology, photography, film, fashion, music, gaming, cooking, writing, DIY crafts, and more. Professionals can use the platform for instructor-led training to teach skills by creating and publishing a class. The online learning community ensures that users will be able to access high-quality learning. Skillshare offers monthly and annual subscriptions, and special pricing for teams. Whatever LMS you choose at any price level, make sure that it will be able to meet your organization’s present and future learning requirements, scale to your growing number of learners, and flexible enough to be personalized and configured to specific learning programs and activities. Your workforce is your number one asset and their continuous training and development is a priority that requires solid investment. Good thing you don’t have to break the bank nowadays with many affordable yet capable LMS solutions like those we’ve enumerated above. Remember, you’re not only investing in a good LMS solution but more so in your learners, equipping them with the right knowledge, skills, and competencies. A budget-friendly, feature-rich LMS that is properly implemented and engages and educates your employees can result in huge returns for your organization – an efficient and productive workforce, and an agile and profitable company.